Remember ‘the power of the cloud’? That was the big thing that Microsoft and Xbox executives were touting for the Xbox One at the beginning of the generation. In the end, it all came to nothing, of course- while cloud gaming may some day happen in the future, our present day bandwidth infrastructure simply cannot support it. There were going to be a lot of cloud powered games, that would make the Xbox One far more powerful than the PS4. 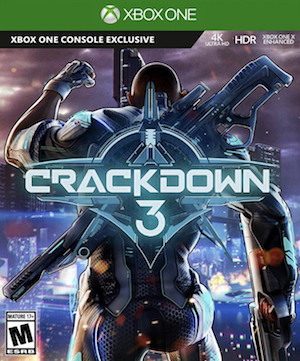 In the end, it will be just one game that utilizes the cloud in any meaningful way- the upcoming Crackdown 3. But of course, there’s nervousness that the game will either be cancelled, or reduced in scope and vision, given recent developments at Microsoft. However, taking to Twitter, Xbox head Phil Spencer decided to dispel some worries that fans have about the upcoming game. Responding to a fan, he said that the game is ‘very fun,’ enemies are ‘diverse,’ and that the world feels very ‘alive.’ He also said that the cloud tech used for the game is apparently coming along well. Let’s hope it is. And let’s hope that we get to play the game on Xbox One by the end of this year.